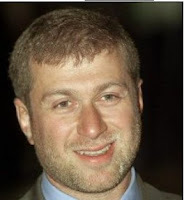 Roman Abramovich’s dismissal of Avram Grant (and make no mistake it was the Russian who fired the bullet) is typical of the way that even successful managers are treated by their bullying billionaire bosses. Sven-Goran Eriksson received the same treatment from the Thai takeaway king Thaksin Shinawatra. It’s all very unpleasant - sure the dismissed managers run away with a bag full of loot, but don’t you just love these self-important pricks at the top? Len Shackleton, the legendary clown prince of English football, entitled one chapter of his autobiography "What your average club director knows about football." He then left the next page totally blank. Plus ca change or rather Больше ca изменись. "He's from a Pacific Island, but I don't know which one"
Coney's remarks were offensive and ignorant. Taylor was born in Lower Hutt which is a town just north of Wellington - as Coney should know as he comes from Wellington himself. Taylor is of mixed race - his father is a white New Zealander (Pakeha) and his mother an immigrant from Samoa. There had never been the slightest doubt that Taylor is as much a Kiwi as anyone else in the NZ squad (and, for that matter, as Coney). Coney should not be commenting on TMS if he reveals such ignorance and prejudice on the air. UEFA should move the Champions League Final to a British stadium! There is often a load of rubbish talked about the environmental damage one individual’s decision to take a commercial scheduled flight can do. The answer to the question, by the way, is NIL. Schedule flights will fly whether you are on one or not – you don’t save one millilitre of carbon emissions by choosing not to fly. Obviously if, over time, we all choose to fly less then the airlines would have to change their schedules and reduce the number of flights and if you want to contribute to this by choosing not to fly whenever possible that’s fine by me. But don’t put pressure on me not to take a scheduled flight for my annual holiday by suggesting that that decision would in itself be environmentally beneficial - it will not be. Having said all the above there are actions that can be taken in the very short term which would be environmentally beneficial. Take the Champions League Final to be played on 21st May in Moscow between two English teams. 80% of the spectators at this match will be English and will have to take the three and a half hour flight from the UK to Moscow (and back) to be there. The schedule flights will be full so most of these travellers will be going by charter flights – flights that just would not take place if the match was moved to a British stadium. 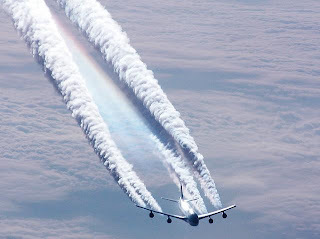 Hundreds of long charter flights to and from the UK and Moscow will burn precious and expensive aviation fuel and create carbon emissions quite unnecessarily. UEFA should move the match to a British stadium!